We are delighted that the 27th Annual African Aviation MRO Africa will take place in Cairo, Egypt, the home of the very first African Aviation Conference which was hosted by EgyptAir. As usual, all the subsidiaries of EgyptAir Holding Company will be participating in MRO Africa 2018. EgyptAir Maintenance & Engineering is a leading provider of maintenance solutions in the Middle East and Africa thanks to several years of experience of maintaining many types of aircraft, engines and aircraft components. The company offers 24 hours 7 days a week maintenance services for line maintenance and AOG Support. The company performs all types and levels of maintenance including checks, replacement, repair and modification , as well as offering technical services and planning. 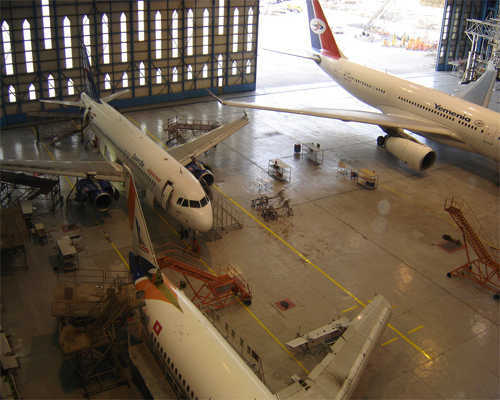 The range of activities available to customers is very comprehensive and ranges from line maintenance to any hangar checks and overhaul. The company is approved by many authorities including EASA, FAA and ISO9001:2008 for different activities of the company.